2) I cannot tear myself away from the Olympics. Both were unique and interesting in their own way. 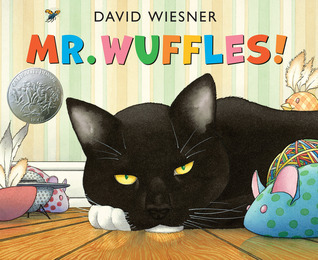 I have to say I'm a bit perplexed by Mr. Wuffles, but I can definitely see this as a picture book that kids in a classroom pick up and then all of a sudden there's a big group of kids surrounding the book, marveling at what's inside. Oh wait, I did have an awesome interview with Natalie Lloyd last week, author of the soon-to-be classic A Snicker of Magic. And I also wrote a review of the book on Nerdy Book Club too. If you haven't already put this book on your TBR pile, do it now. It is one of the most perfect middle grade books to ever grace the children's literature world. I'm with you--I only read one novel this past week--and an Olympics picture book. Can't stop watching!!! 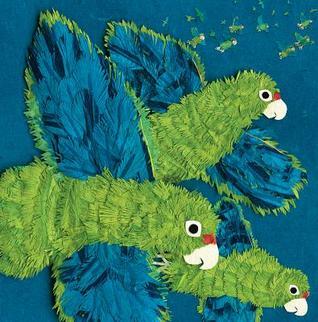 I've been wanting to read Parrots Over Puerto Rico. I have it on hold at my public library, but there is one copy in the whole tri-county system. I felt the same way about Mr. Wuffles. I loved the illustrations, but story didn't hold my intrest. I can't wait to read A Snicker of Magic. It is next on my to read list! Thanks for sharing. The Olympics are eating into my reading time too - but so worth it, right?! And it doesn't last, so there's plenty of time to read when the last medal has been hung, and the closing ceremonies are over with. Loved Snicker of Magic as well! Such a fantastic author... :) Sometimes our brains need a reading funk, provides you with fresh energy later... Happy reading week to you - and Olympic watching as well! I am about half way through A Snicker of Magic and you are so right! I love this book. It was a perfect book to be reading along side the Book Thief. It is light, has caring people and I could smile as I read instead of crying. 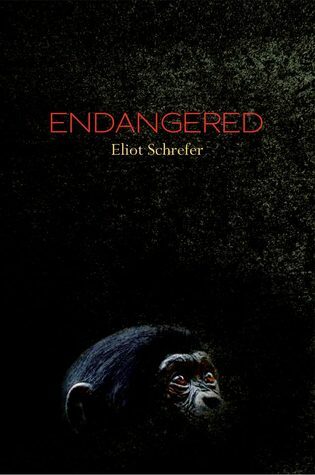 I am hoping to get to Endangered this week. I'm eager to read Snicker of Magic. Planning to buy soon as I have no hopes of my library getting it. I also didn't read much (or write much or blog much or exercise much or anything else much) over the past week. I have some required reading to complete for my classes as well. 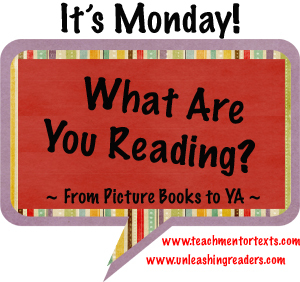 What are you reading in American Lit right now? We're also watching a lot of Olympics here! I have a serious short track obsession! I found a lot of my reading time going to the watching of the Olympics too. I love to watch as many of the events as I can watch. I definitely need to put A Snicker of Magic on the TBR list. Thanks for sharing! Have a great week! "Other than that I got nothin'" I have laughed at this twice today - earlier when I did a sneak peek at your blog and now when I've come back to read in detail. Some weeks are like that - enjoy the Olympics and then dive back into your reading! Looking forward to Threatened and A Snicker of Magic, Beth. 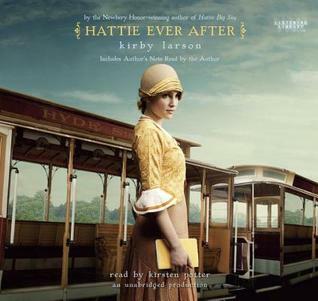 I've read Hattie Ever After and loved it. Mr. Wuffles is a hit with the younger ones, and typical cat. We humans just can't 'see' what those silly cats see I think. Happy reading! Every week is different! I loved your review and your interview. I can't wait to get my hands on Snicker of Magic!